Looking for the Best Expensive Backpacks ever? Most of us need to carry backpacks. Backpacks are easy and convenient and make life hassle-free. 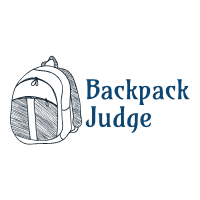 However there are so many different varieties of backpacks in the market that it is often a baffling situation. 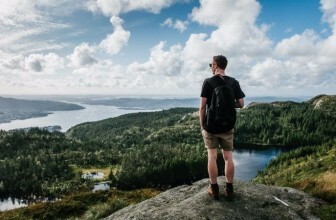 When choosing a backpack, why should you go expensive? Backpacks have been used for many years and have made travelling a lot easier, even for security at airports it’s easy to open and pack up again. 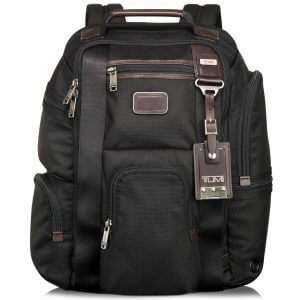 Backpacks give you a stylish look, and it also has the advantage that it can suit any clothing. 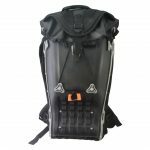 Backpacks allow you to carry loads of items with ease, especially if you go camping, or on long road trips, mountain climbing. Many of us use it while going to school. We may even carry it to work where one may require taking a lot of stuff; the list can go on forever. Since backpacks are so useful, going expensive is worth it. Good quality backpacks, which are made of durable material like nylon or polyester last for many years. Its size is 15.6 Inches high, 13 Inches horizontally and 4 Inches in dept. It has a large compartment. There are three pockets on the front that have zippers. 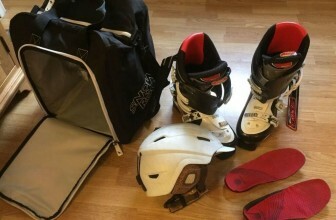 An additional two inner pockets with zip facility. Zipping pockets on the side. It also includes a phone holder and a pouch for wallet. This backpack is perfect for road trips. It is very comfortable to carry around. Its main compartment is large enough to carry lots of snacks for instance. 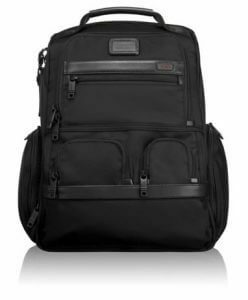 It also has lots of pockets to carry your camera, IPod, electronic table. One of the outer pockets has a magnetic flap which you can use to keep two glasses; therefore you could keep your sunglasses and reading glasses. 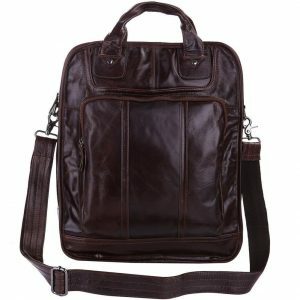 The backpack is made of high quality leather; although it is small it has enough space to carry lots of items. Its size is 16” X 12.25” X7”. Its laptop compartment size is 15″ x 10″ x 1.5″. Back strap that can adjusted. On the front it has a U-zip pocket. Air vent pocket for bottle. Easy to carry top handle with leather wrap. Accessory pouch that can be removed. Elastic pocket for media items. The Tumi Alpha Compact Laptop Brief Pack is ideal for office use, as its compact size allows you to carry it anywhere as ease. Even a 15 inch laptop can fit and you still have space for clothes. You can put your phone, wallet, IPod in the side zip pocket. It has provision to keep your keys, pen, and water bottle. It’s made out of luxurious leather. The quality of the bag is high it should last you over two decades. This is the perfect bag for business people. A 15 inch laptop will fit easily, and a separate compartment for IPad. Since it’s made of ballistic nylon, the backpack can withstand a lot keeping the items protected. Pockets are waterproof giving you additional protection if you’re caught in the rain by chance. You can take all the necessary items as ease. 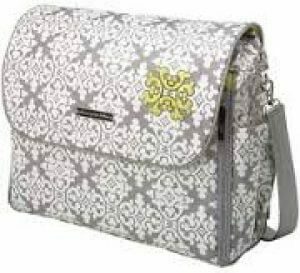 This bag is ideal for business woman, 12 inches high and 12 inches wide is a big space, to keep files and folders. With straps on the side it can be used as a tote or a backpack, this makes it easy to carry. Its leather finish is beautiful, people who have bought it has commented that it even looks better than the pictures they saw online. 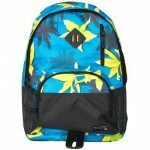 This backpack is ideal for parents or intended parents wanting a suitable bag for travelling with their little one, whose necessary items can be taken in one bag. It has a feature for changing diapers which can be unrolled. There is room enough to store bottles, wipes, diapers, toys and clothes for a change. 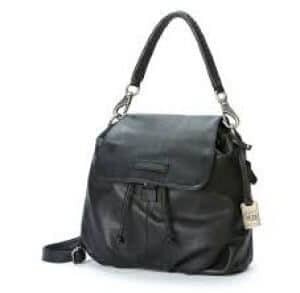 This bag is stylish in appearance. Reviews also suggest that this backpack is highly durable. If you’re going to school or hiking you’ll require a lot of space to keep all your items, and ample spacious pockets to keep additional things which are necessary. Business people require a lot of compartments to separate important items and documents. Even for those who gym or play at a game, backpacks have enough space to carry additional clothes and even special pockets to keep your phone protected from any damage. Therefore doing a good and thorough research will help you to find the perfect backpack. 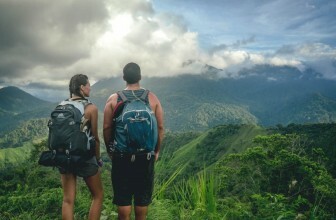 A last tip that you should keep in mind, especially since you are choosing an expensive backpack is that going online is a much better option than visiting the traditional brick and mortar store. Online, you can visit many different sites which allow you to actually compare brands and prices. More importantly you can get a decent idea from the various reviews that you read.